THE World Mission Society Church of God, which has been leading the way to heal the body and mind of its neighbors, has once again organized a blood donation campaign to celebrate the Passover. About 200 of the church members and neighbors participated in blood donation that was held at the Church of God in Davao. The event started at 8 a.m. and ended at 1p.m. Those who participated in the event were mostly the youth. Alyssa, 22, whose house is located at the back of the Church said she is happy and thankful that she will be able to help someone who may be in need of blood. Rogelio Aca, Jr., acting chapter administrator of Philippine Red Cross 11, expressed his gratitude through Rizh L. Abellano, blood donor recruitment officer-CSR-National Blood Services. "I can see genuine happiness in your faces in giving a part of you. Your efforts are saving lives. It will surely be conveyed to the hearts of the recipients,” he said. The 940th Passover Blood Donation Movement is not only conducted in the Church of God in Davao but throughout the whole world as well. This is the church's expression of love towards its neighbors as Jesus instructed in John 13:34, “A new command I give you: Love one another. As I have loved you so you must love one another”. 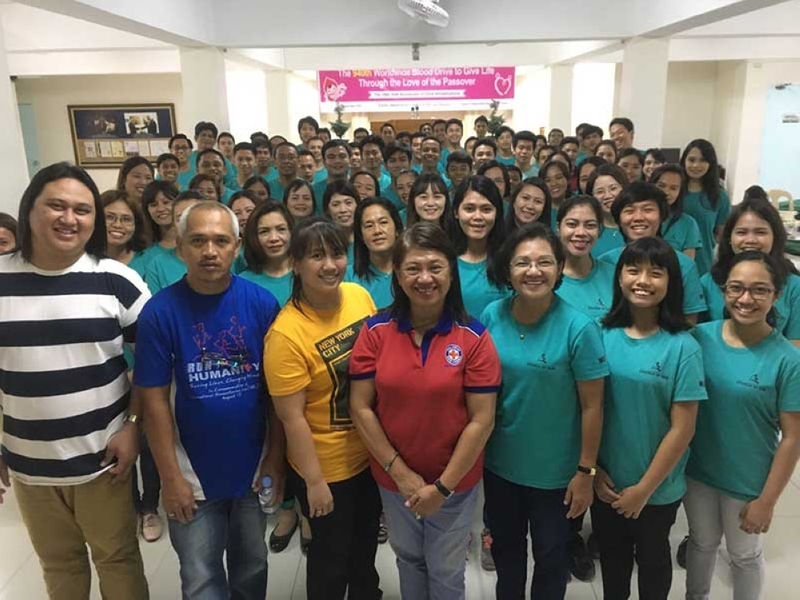 The church commemorates the new covenant Passover, which returns every year, and carries out a love affair with various services such as blood donation campaign and environmental clean-up. Starting with New Zealand and the Netherlands this year, various churches in the US, Korea, Mexico and Nepal also held blood donation campaigns to celebrate the Passover. They also held street and environmental clean-up activities in South Africa, Canada, the Philippines, and Australia.